Join us for a historical evening featuring Jim Newton, author of “Eisenhower: The White House Years.“ Wine Reception precedes a Presidential dinner featuring recipes from Ike and Mamie Eisenhower, and then a talk by the author. See Events for more information. It’s the Prairie Home Companion in Wine Country! The W.I.N.O. Radio Dinner Show is back for its 10th season. An original, live radio show presentation, this year’s theme is “Wine, Sippin’ & Song.” Enjoy comedy skits, musings, prizes, live blue grass music, and a Harvest Dinner. Two shows: Saturday, September 1, and Sunday, September 2. For a taste, view the 2011 W.I.N.O. Radio Show on YouTube. Visit our Events page for more information. 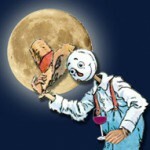 You are currently browsing the Bedford Winery blog archives for July, 2012.